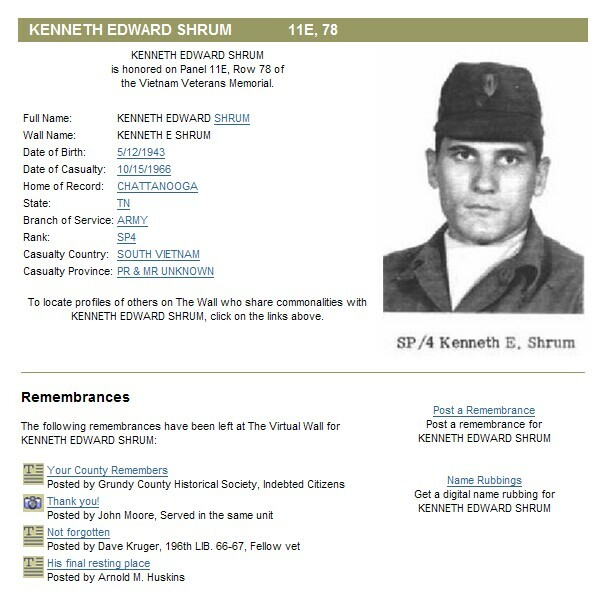 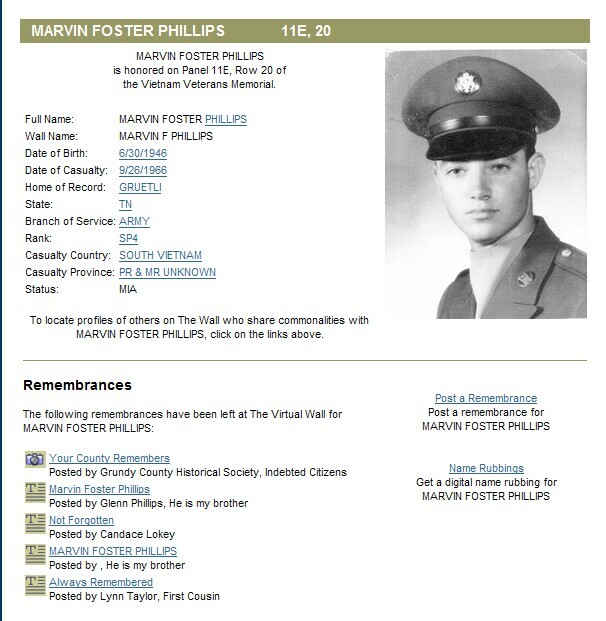 The Virtual Wall is a commemorative Web site created to extend the legacy of the Vietnam Veterans Memorial. 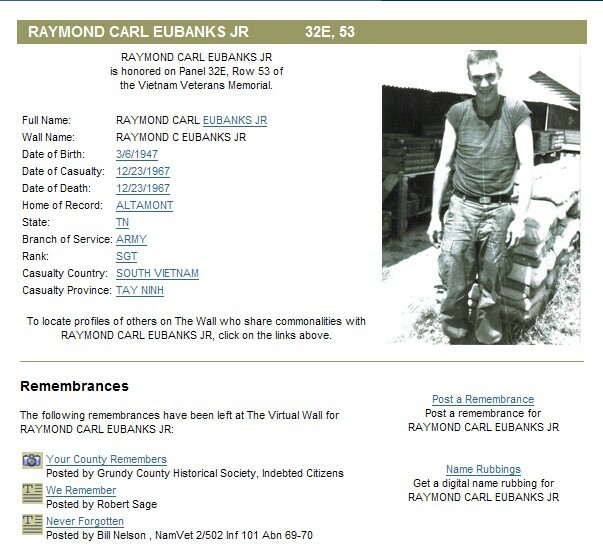 It allows families, friends and veterans to post photo, text and audio remembrances to those who lost their lives in the war or remain missing in action. 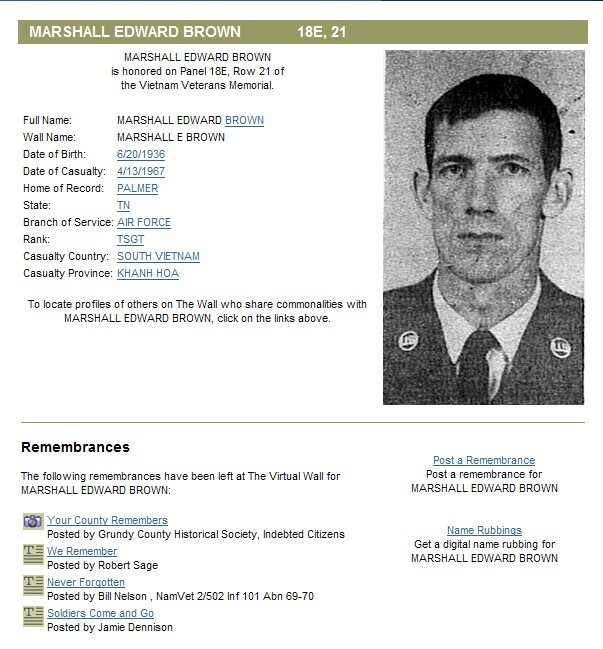 The Virtual Wall features more than 100,000 messages, anecdotes and photographs and provides visitors with the ability to view digital name rubbings similar to those at The Wall in Washington, D.C. 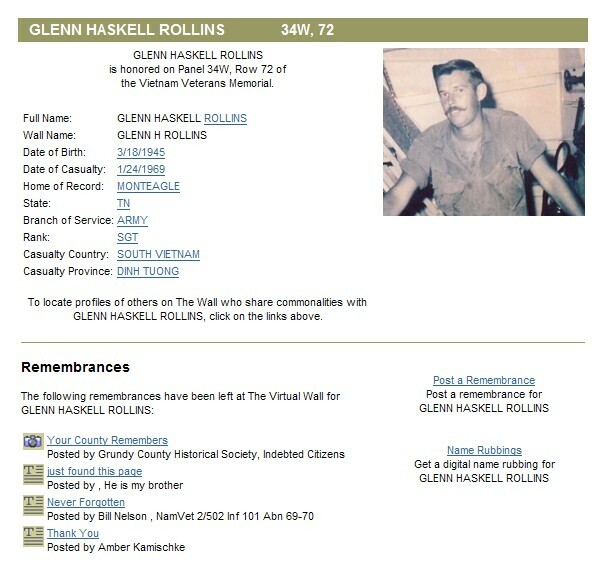 The Memorial Fund encourages you to post remembrances for friends and loved ones whose names are inscribed on the Memorial to remember and honor each and every one of those who served in the Vietnam War and to expand this digital legacy project.